An anchor kit ensures stability of the structure during high winds and is recommended if the structure is not being attached to a foundation. 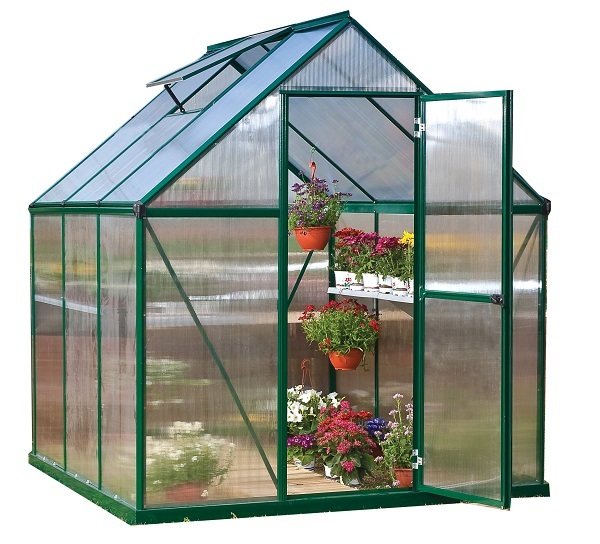 The root of the problem with many greenhouses is not enough room to blossom. 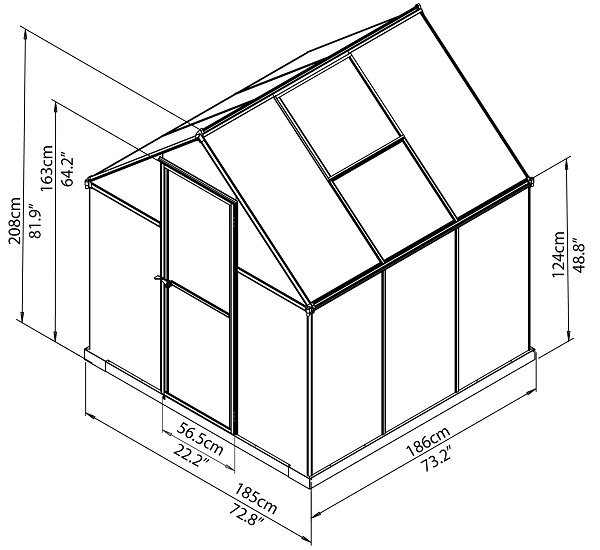 However, Palram offers an ideal solution for that with the Mythos 6 x 6 Hobby Greenhouse. 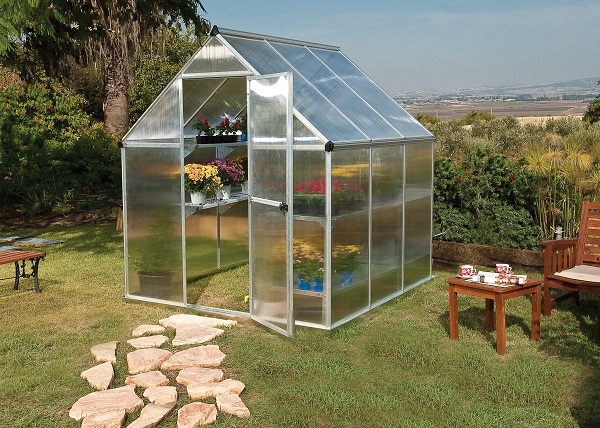 With 37 feet of growing space and 6.5 feet of headroom, you and your plants will doubtlessly be able to branch out. The 4-millimeter twin wall roof and side panels, made of virtually unbreakable polycarbonate, blocks up to 99.9% of harmful UV rays. Palram stands behind their products, offering a 5-year limited warranty.